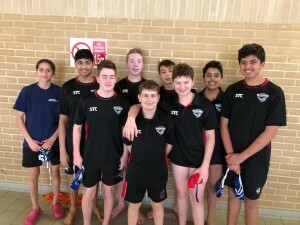 Over at QE Boys School our U16′s B team started their division three campaign with four matches and in the opening game against Haringey Aquatics the team cruised to a comfortable win 11-1 taking the first half 7-1 as Arish Patel scored a hat-trick, Bryce Myburgh a double & goals from Dillian Velani & Sabrina Radzik-Rahman doing the damage. The second half saw the team score a further four goals without reply for an easy start to the season. Velani with two more to complete a hat-trick, Patel, Jack Leeson & Dyley Munday completed the scoring. A quirk in the fixtures meant that Watford would play Haringey again in match three so after a brief break the teams were back in the water and in a much more even opening half Watford were leading by one at 3-2 but with only 1.10 to play two quick goals from Sabrina & Dylan had Watford in command at the break 5-2. The second half saw Watford fire in six to easy to another comfortable win 11-4. Game 5 saw Watford face Otter and another comfortable win saw the team easy to a 7-2 victory wining the first half 3-1 & the last 4-1. Myburgh hit a hat-trick & Velani a double. Game 6 was against second placed Beckenham and it was the visitors that took an early 2-0 lead before Watford responded with three to edge the first half in front. The second half started with Watford moving two clear at 4-2 before Beckenham closed the gap at 3-4. But then a three goal run had Watford in front at 7-3 a late Beckenham goal finished the game 7-4. The team are now top of Division Three on goal difference with Hythe and with both teams facing each other twice in the final round of matches at Whitgift in mid-March the winners of the two Hythe matches should take the Div Three title. 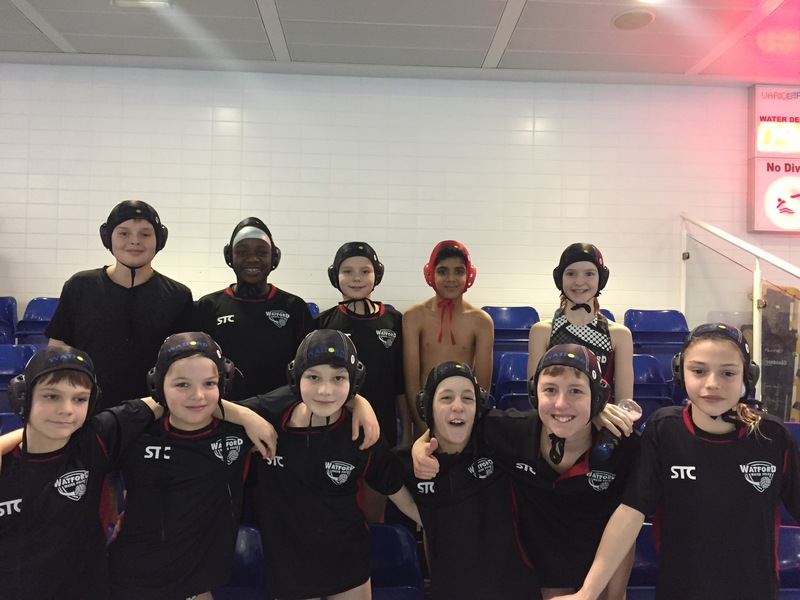 Watford u12s started the weekend in top position in the league having won all three of their opening games on the first weekend but on joint points with Beckenham. Beckenham lost and drew one and we have a game in hand. First game was against Latymer which was a comfortable victory with a hat trick from Dusan and two from Illja and Tope, one from Lara and one from Betie on his debut. We also benefited from an own goal to finish 10:1. The second game was a much tough affair against joint leaders Beckenham, their number 2 able to turn our stronger defenders until they learned how to stop him. He only managed to score two. We had plenty of chances to score but were beaten by the post and crossbar. We only managed two goals one from Dusan and one from Gethin to finish losing 2:4. It was now critical not to lose any more games, it was a home fixture for Hillingdon. Defence was strong and some great saves from Keeyan meant they only scored 2. But we had Dusan who scored a hat trick in the first half and another gold in the second to end 4:2. 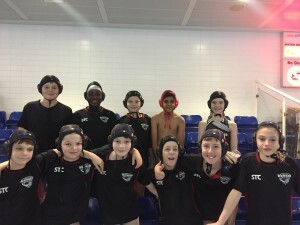 The team had a break of an extra game so diligently watched (well for a couple of minutes they are u12) Northampton in readiness for their game. Keeyan came out of goal and Gethin when in for the final game. Northampton had some strong swimmers, so we know defence would be critical again. This time the Crompton brother scored one each and Owen scored two, and that was enough because the strong defence and saves Gethin kept a clean sheet. Goals are not the only important part of Waterpolo, our defence won us the games, everyone did well but Lara was just amazing stealing the ball form anyone in her reach. Plus it was a great team effort from everyone. We are now top of table, one point ahead of Beckenham, and if we win our three remaining games on the final weekend on 31st March we will win the U12′s Title. Match report by Team Manager Alun Dorrington.